Open Door Group is a not-for-profit organization and registered charity that operates on the fundamental belief that all individuals have the ability to succeed. 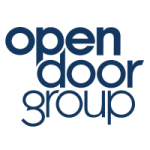 Since 1976, Open Door Group has been providing a full range of client-centred services to support individuals to achieve employment or community attachment. Established in 1976, the organization started out as a small group of dedicated volunteers providing woodworking and sewing classes to people with disabilities in Vancouver. Today, Open Door Group provides employment services in eight locations, including Vancouver, Kamloops, the Sunshine Coast, South Okanagan, and Lillooet. We deliver employment services to over 20,000 individuals per year across the province and are partnered with over 20 organizations to deliver these services. We believe in the power of strong, collaborative partnerships within the communities we serve. This includes connecting with clients, families, the business community, other service providers, and all levels of government. In addition to our regular programs, some of our collaborative initiatives include: the BC Employer Diversity Forum, a progressive network of businesses that promote diversity and inclusion in the workplace, the BC Workplace Diversity and Inclusion Awards, the annual Open Door Group International Disability Film Festival, and several other local and regional initiatives that support inclusive communities.